The National winter sport of Canada, Ice Hockey, has blessed many players with fame and fortune. 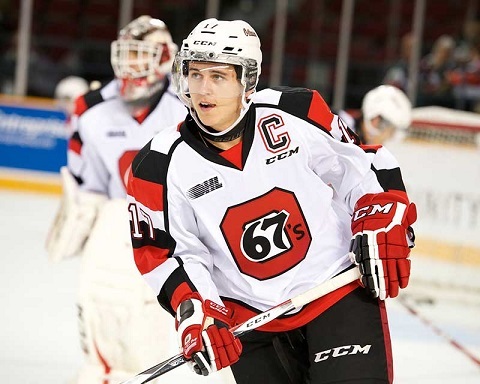 Today, Canadian Ice Hockey player Travis Konecny is the one we will be talking about. He currently plays for the Philadelphia Flyers in the NHL and also for the Canadian National Team. Inspired by the Candian legend Sidney Crosby, 21-year old Travis is playing professionally since 2016 and has earned millions over these years. 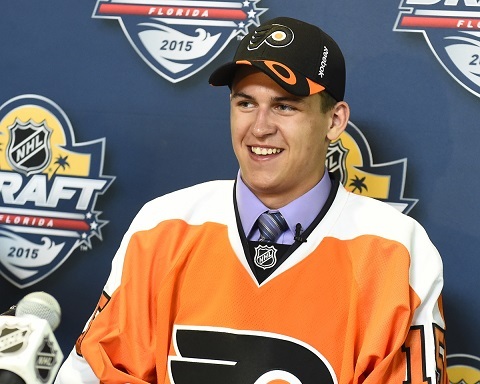 Currently, Travis Konecny earns an annual salary of nearly $1 million. Let's know more about his earnings, contracts, salary and career achievements. Travis Konecny has only played for the Philadelphia Flyers in NHL so far. Initially Ottawa 67’s centerman in the OHL, Travis got picked up by the Philadelphia Flyers in the first round, 24th overall 2015 NHL Entry Draft. Soon after that on July 16, 2015, Travis signed a 3-year entry-level contract with the team worth $2.775 million. Despite the new contract with Philadelphia Flyers, he still played for the Ottawa 67's and later, he was later traded to Sarnia Sting for the 2015 season. Well, the detail of Travis earning before NHL draft or in 2015 is undisclosed. However, the Flyers' contract reportedly offered him the signing bonus of $92,500. After 4 days of Flyers' general manager, Ron Hextall's announcement on Konecny's final roster for the 2016–17 season, Konecny made his NHL debut on October 14, 2016. Konency made 2 assists for his first multipoint game. With his contract due till 2018, Travis Konecny's salary for the 2017 and 2018 season is reported to be $925,000 each. Though he has not opened up on details about his properties, endorsement deals or net worth, his net worth as estimated sits at $1 million. No official news of Konecny's new contract or extension is out, let's wait for the day. The second cousins to Vancouver Canucks forward Bo Horvat, Travis played the youth hockey for the Chatham-Kent Cyclones initially and later moved to the Elgin-Middlesex Chiefs of the Minor Hockey Alliance of Ontario for his bantam and minor midget seasons. After finishing his last season with Elgin-Middlesex Chiefs, scoring 3 goals and 61 assists in 54 games, Travis made his way out to 2013 OHL Draft. He was picked up by Ottawa 67's and also won the Jack Ferguson Award for the first overall draft pick. Soon in October 2013, he was named the OHL Rookie of the Month, scoring 4 goals and 5 assists in 11 games over the month. The prominent Canadian player also won Emms Family Award that year. Speeding up his progress, Travis was named as the caption for the 67's for the 2014-2015 season, where he made up with 68 points. After the season, Travis declared his NHL Draft where he got picked up by the Philadelphia Flyers in the 2015 NHL Entry-Draft. He currently plays alongside the players like Radko Gudas, Sean Couturier, and Wayne Simmonds. Sarnia Sting as a traded player. Scoring his first NHL goal with Flyers in a 3-4 win against Buffalo Sabres on October 25, 2016, he recorded 28 points in 70 games for the rookie season. As reported, Travis' career stats show up an average of 35 goals, 40 assists, 75 points and 95 penalties. Talking about Travis' international career, he made his breakthrough playing for Canada at the 2014 IIHF World U18 Championships. Also, he captained the gold medal winning team at the 2014 Ivan Hlinka Memorial Tournament. Furthermore, Travis represented Canda at the 2016 IIHF World Junior Championships in Finland and also at the 2017 World Championship where he made 8 points, all assists, to go along with a +6 rating in his first World Championships. Passion in the profession is the secret to notable achievements. Let's wish him best for further.